Corporate social responsibility (CSR) is defined as operating a business in a manner that meets or exceeds the ethical, legal, commercial and public expectations that society has of business . In the last 20 years, there has been a sea change in the nature of the triangular relationship between companies, the state and society. CSR has become increasingly prominent in the Indian corporate scenario because organisations have realised that besides growing their businesses, it is also vital to build trustworthy and sustainable relationships with the community at large. This is one of the key drivers of CSR programs. 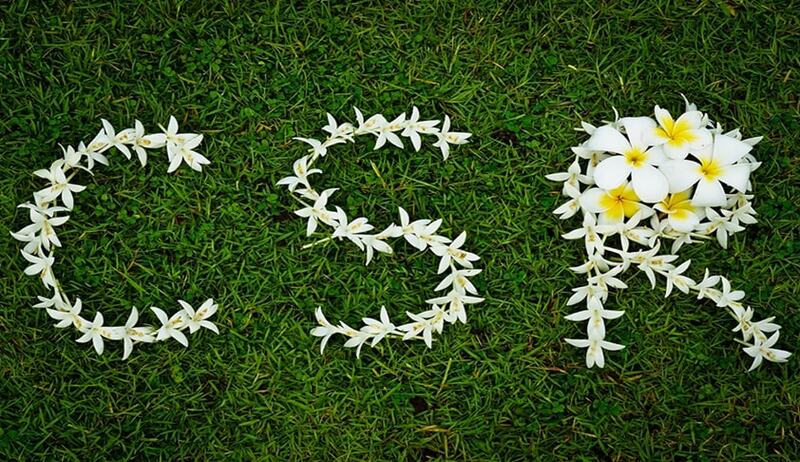 CSR is coming out of the purview of doing social good and is fast becoming a business necessity. CSR necessary implies the practice of socially accepted norms with respect to business done by the organization. Ethics amongst the business practices was considered as an abstract notion rather an individual discipline , also this practice was erroneously missed out by the traditional MBA curriculums, as CSR was added in these curriculums not as an area of specialization (nor as a subject), but mostly as seminar courses, etc., which definitely lacked to infuse ethical considerations amongst the prospective corporate managers . 1) Ethics is not to be reflected as an abstract notion but rather as a concrete substantial discipline. 2) Study and exploration of the scope of business ethics at various levels in a corporation is a must for effective CSR implementation . 3) Study and exploration of the process of internalization of ethical behavior and CSR compliance instinct should be an integral part of the business curriculum . 4) Study of various other key drivers in the development of Corporate Ethics cannot be ignored. Does the need for curriculum recast and tectonic shift in the method of imparting of business education—a present-day necessity? India’s top B-schools are doing soul searching after the world’s colossal financial folly, as Prof Ganesh Kumar N of IIM-Indore stressed upon the ethical remodeling of MBA curriculum as well as the teaching methodologies to infuse the managerial spirit to instill strong ethical convictions amongst the corporate managers. World over and especially the aftermath of the recent global crisis, B-schools, including IIMs, have been tweaking their courses to inculcate corporate and social responsibility. They are also offering electives on subjects such as social entrepreneurship with a greater emphasis on the personal development of students. Further recently there was a conference organized by IIM-I on Corporate Spirituality. IIM-Kozhikode in its first year introduced micro-economic course, emphasising especially on problems of moral hazard. Thus, Corporate Ethics no doubt has become a highly contentious issue for business schools with many media reports laying the blame for the financial crisis squarely at the doors of business schools. Do ethics in the modern day business are to be focused solely upon saga of philosophical sermons? The present-day business models and curriculums generally ignore a crucial fact that the business carried on by the corporation is not a handiwork of a few, but conglomerative efforts of many. Each individual has been brought up in value systems distinct from each other, emanating a scope of clash/conflict within each other because of different value system. Also further there is also an inherent clash between the indigenous corporate ethical values and the corporate ethical values as practiced by the multinational corporations especially after the inception of liberalization in the early 1990s in India. The business education also has to look into this conflicting value system and form a meditative path for its resolution. The focus of the business courses should be to deal with such disagreements. Does successful implementation of CSR involve the identification of different levels in a corporation? An efficient CSR necessarily means a corporation sound in its ethical fabric from within, which can only be possible, if its working force at all its levels resonates a sound functioning. Thus only when the different levels in a corporation are identified with respect to the ethical machinery, can it be realized whether a particular social initiative or a CSR can be successful or not. 2) Transparency (Section 417) — publicly listed U.K. companies have a responsibility to report openly on their social and environmental risks and opportunities to their shareholders, as well as on employee matters and risks down supply chains. With these two sections in place, the U.K. Act provides a tool to help defend the rights of people and to protect the environment against the irresponsible corporate behavior. However, this is severely lacking in the Indian case . The draft Company Bill contains a new duty on directors to "promote the success of the company" (in good faith) for the benefit of the shareholders (s.173 of the July 2006 draft). The matters that directors must have regard to when promoting such success include the impact of the company’s operations on the community and the environment. This is perhaps the first time that statute has imposed on directors a requirement for consideration of wider social issues. What constitutes―promotion and―success are hugely subjective, and if no successes are made, no promotion is required. There is pressure for a company to have greater transparency with its investors (the Transparency Directive), as well as being aware of its social and environmental impact. Coupled with the increasing accountability of public bodies to implement the principles of fair competition when awarding public contracts, it would appear that public and private law is converging. The Public Contracts Regulations 2006 sets out the requirements for public bodies to enter into contracts in accordance with competitive principles in an open market. The new regulations codify the option for public bodies to include relevant social and environmental considerations (as technical specifications) in an award of a public contract. It is arguably the legacy of Enron and WorldCom that greater transparency is to be increasingly important in company law, rather than as a result of any social trend. When both private and public bodies are obliged to be environmentally and socially responsible, without restricting competition in any way, we will be much closer to a permanently fixed legal landscape. To make the Companies Bill in India truly effective, we have to think of it within the framework of corporate social accountability. The directors of a company have a primary duty to promote its success for the benefit of shareholders. Importantly, the Bill must state that in fulfilling this duty, directors should also consider issues relating to employees, suppliers, customers, community, and the environment. In practice, this means that violating social and environmental standards can present a financial risk to the company. Generally speaking, directors will be required to be more conscious of how they manage their social and environmental impacts. A new accountability system is required to define, capture, manage and report on obligatory indicators, beyond traditional financial measures of performance. Many times, money and effort have gone into preparing a new Company Bill with ideas―to allow the country to have modern legislation for growth and regulation of the corporate sector in India in consonance with the changes in the national and international economy. Hindustan Unilever is involved in a number of CSR initiatives in India. The main objective of Project Shakti of Unilever is creating rural entrepreneurs . It trained 13,000 underprivileged Indian women to distribute the company’s products to 70 million rural consumers. The company is working with women’s self-help groups to teach selling and book-keeping skills and build commercial knowledge . The women who participate in this programme are, by and large, able to double their household income . Shakti has also allowed Unilever to increase its reach to 30% more of India’s rural population since its inception in 2000 . The company is joined in its efforts by some 300 groups, NGOs, banks and various government entities allowing it to take part in strategic public-private partnerships (Joseph Vackayil, 2007). Coca-Cola India worked hard towards water conservation and community development and has been given the Golden Peacock Global award 2008 for CSR . The award has been conferred to Coca-Cola India for its efforts in water conservation and management and community development initiatives . The soft drink major now has 320 rain water harvestation programmes implemented across 17 states in India, and it has also been successful in restoring water conservation programme. Side by side, the company is running the ‘Elixir of Life’ project that provides drinking water to 30,000 children in 100 primary and panchayat schools in around Chennai . Coca-Cola India undertakes a diverse range of activities for the benefit of the community across the country . Considered as pioneers in the area of CSR, the TATA Group has played an active role in nation-building and socio-economic development since the early 1900s. From its inception, the TATA Group has taken up a number of initiatives for the development of society. A unique feature of the group is that 63% of the equity capital of the parent firm―TATA Sons Ltd. ―is held by Tata trusts, which are philanthropic in nature. The TATA Business Excellence Model integrates social responsibilities into the framework or corporate management wherein social responsibility is encapsulated as a key business process. In fact, all social service departments in Tata companies have annual programmes and budgets. About 7000 villages around Jamshedpur and Orissa benefit from development programmes run by TATA Steel Rural Development Society (TSRDS). Programmes of TSRDS cover issues like education, irrigation, afforestation, adult literacy, vocational training, handicrafts and rehabilitation of handicapped persons. The community development and social welfare department at TATA Steel carries out medical and health programmes, blood donation drives, mass screening of Tuberculosis patients immunization camps and drug de-addiction. In 1999, Tata Steel embarked on an AIDS awareness programme, which has now become an integral part of all training programmes. Routine activities like immunization programmes, sterilization operations and mother and child health care programmes are conducted through 9 family welfare centres, 9 child clinics and 6 community-based clinics. In fact, TATA Steel’s centre for family initiatives was successful in influencing 59% of Jamshedpur’s eligible couples practicing family planning, compared to the national figure of 35%. Several major CSR initiatives have been launched in India since the mid-1990s. Among these is the first voluntary code of corporate governance―Desirable Corporate Governance: A Code‖, established in April 1998. This was an initiative by the Confederation of Indian Industry (CII), India’s largest industry and business association. A National Foundation for Corporate Governance (NFCG) has been established by the Ministry of Corporate Affairs. This is a partnership with the Confederation of Indian Industry (CII), the Institute of Company Secretaries of India (ICSI) and the Institute of Chartered Accountants of India (ICAI). The purpose of the NFCG is to promote better corporate governance practices and raise the standard of corporate governance in India towards achieving stability and growth. Legislation authority in India is shared between the Central government and the state governments. Some laws, such as those regulating minimum wages, differ from state to state. Likewise, the implementation and supervision mechanisms may vary between states. India’s domestic law on child labour, Child Labour (Prohibition and Regulation) Act (1986), bans employment of children in some dangerous occupations, such as factories and mines, and regulates the working conditions in others. According to this law, anyone above the age of 14 will be regarded as an adult and will not be protected by the child labour regulations. According to UNICEF, insufficient attention has been given in India to eliminate the worst forms of child labour. The 1986 child labour law does not cover children in all sectors. India has the world’s highest number of child labourers under 14 years. India has altogether ratified 333 labour laws. The ways these laws are supervised and implemented vary. Sub-contracts are common in India. One challenge is that 90% of Indian labour is in the informal sector, which is not protected by the labour regulations. Most Indian states have enforced an act for minimum wages for labourers in scheduled employment, as stipulated in the Minimum Wage Act from 1948. India has enacted legislation that prohibits discrimination due to gender, religion, ethnicity or caste. Again, the record of implementation is varied. ILO has observed some violations in India’s implementation of the Discrimination (Employment and Occupation) Convention, (No 111, from 1958). This convention obligates the state parties to hinder discrimination due to caste or gender, such as different salary scales and labour conditions. The main law on environment and production is The Environment (Protection) Act (1986). This law gives the Central government the authority to protect and improve environmental quality, as well as control and reduce pollution from all sources . The responsibility for environmental governance is shared between the corporations and the government. In 2005, Right to Information (RTI) Act was established, this law gives the general public right to government information, and is meant to promote transparency and responsibility in the work of all governmental institutions. The introduction of the RTI Act has led to changes in the transparency regarding the establishment and implementation of strategies, programmes and laws. It is also opening for access to information in areas where the authorities have left out important aspects, and give the public a possibly to require important information. The RTI Act is additionally an important tool in regards to environmental management. Talking of CSR in terms of its applicability in India, it can be enunciated that the industry would not practice or include CSR policies in their business strategies till the time some incentives are not offered. In lieu of the above, the latest introduction to woo the industry on the lines of CSR is Corporate Credit Rating system. The industry should seriously think about this idea (trading in CSR credits) the companies would have to get certification for their CSR activities from a government body and earn credits. The credits could then be traded in a CSR credit exchange. The company that does not want to do a CSR activity would then have to purchase CSR credits from companies that have earned them. This is similar to carbon credit where the polluter gets his right to pollute by buying the carbon credits from companies that have earned them through environment-friendly activities. The ministry has roped FICCI into the CSR credits project and has asked the Indian Institute of Corporate Affairs to undertake a study on the scope of CSR credit trading. In practice, though CSR initiatives are part of the normal functioning of companies, they don’t get any tax exemptions. But if a company donates money to a charitable trust, it gets tax exemption. This would help companies to do their own CSR activities and get some exemptions for them and not just passively donate to charity. The activities which should earn CSR credits should be education, housing, health and sustainable projects. CSR in India has gone beyond merely charity and donations, and is approached in a more organized fashion. It has become an integral part of the corporate strategy. Companies have CSR teams that devise specific policies and goals for their CSR programs and set aside budgets to support them. These programs, in many cases, are based on a clearly defined social philosophy or are closely aligned with the companies’ business expertise. Employees become the backbone of these initiatives and volunteer their time and contribute their skills, to implement them. Hence, Indian companies are now expected to discharge their stakeholder responsibilities and societal obligations, along with their shareholder-wealth maximization goal. We would like to state that CSR is not a sycophancy in India, as many facts have been presented by the researchers in the above submissions which clearly indicate that both the private and public corporations have been moving in the direction to achieve the goal of social accountability. The bigger a corporation is, the bigger is the responsibility towards society. Hence, it would be an absolutely wrong assumption to consider that Corporate Social Responsibility is not working up to the expectations. So many tasks have been undertaken by corporations which directly aim at the establishment of one of the strongest pillars of corporate governance. It’s definitely a commendable approach in the field of corporate governance. We suggest the formation of stronger policies in this regard and a better and more effective implementation of the same. 1. Agarwal, Sanjay, Corporate Social Responsibility in India, 1st edition, SAGE Publications, 2008. 3. Dube, Indrajit, Corporate Governance, Lexis Nexis, Nagpur, 2008. 4. Hilb, Martin, New Corporate Governance, Springer Berlin, Germany, 2005 ed. 3. 5. Prabhakaran S., Business Ethics and Corporate Governance, Excel Books, New Delhi 2008 ed. 1. 6. Pusty, Twinkle, Corporate Governance Compliance in Indian Industries, Regal Publications, New Delhi, 2008. 7. Rani, Geeta and R.K. Mishra, Corporate Governance, Excel Books, New Delhi 2008 ed. 1. 1. Case study of ICA's and Lindex's Pink Ribbon campaign, July 2010. 2. Competitive and Financial Advantage, Journal of Business Ethics, vol. 23. 3. Enterprises in Developing Countries, United Nations Industrial Development Organization, Harvard Business Review. 4. Jaswant Manish, Strategy: Closing the Gap Between concept and application, Journal of Marketing, January vol.2. 5. Khurshid Salman, Corporate Social Responsibility/Human Resource, Resource Management, Lucknow, December 2010 vol.4. 6. Krishna, C.G., Corporate Social Responsibility in India, Mittal Publications, New Delhi 1992. 7. Luce R.A., Barber A.E. and Hillman A.J., Good Deeds and Misdeeds: A Medicated Model, www.taxmann.com. 8. McWilliams, Abagail and Donald Siegel, Profit Maximizing Corporate Social Responsibility, Lex Corporate, New York, 2011. 9. Melissa Davis, Cause Related Consumerism, Journal of Corporate Governance, London, 2010. 10. Miles, M.P. & Covin, J.G., Environmental Marketing: A Source of Reputational Competitive, and Financial Advantage, 2000. 11. Chandrasekar Mythili, What's your company's signature tune?, Businessline, 27 July 2006. 12. Mehra Preeti, Intel Outside, Praxix, Businessline, December 2004.